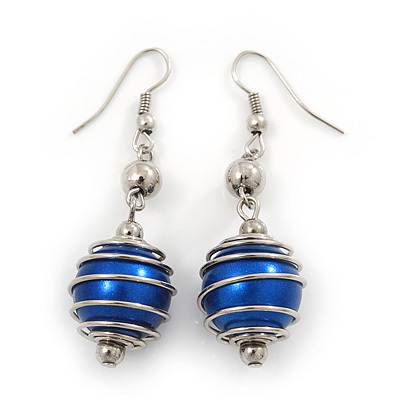 Make a splash with these chic Silver Tone Navy Blue Faux Pearl Drop Earrings. Featuring a single navy blue faux pearl (about 15mm in diameter) set in a silver tone cage-shaped construction. These stunning earrings can be twinned with a matching bracelet BA01326 to create a delightful combined set.